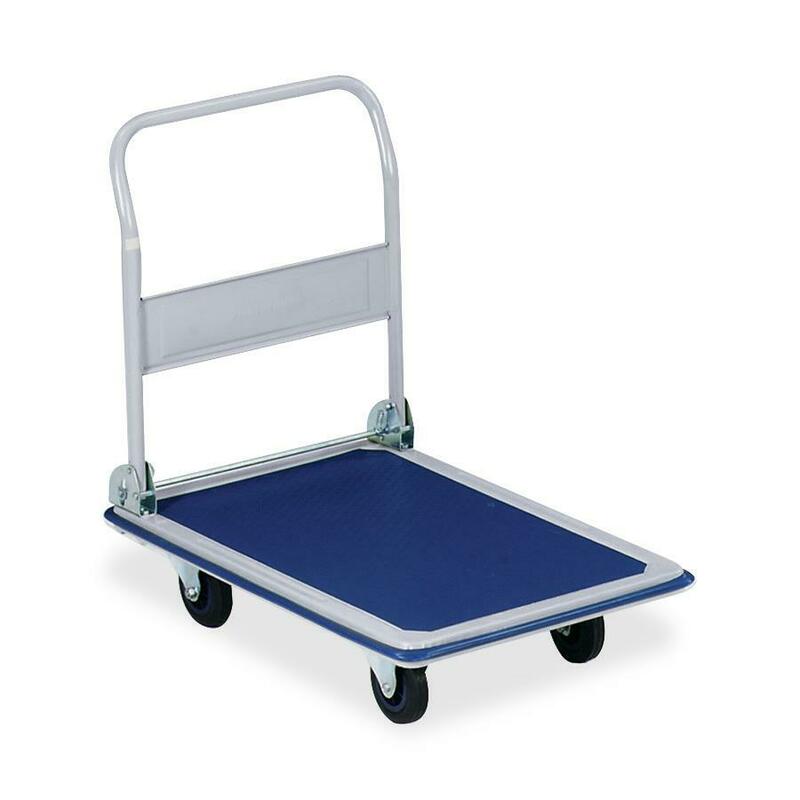 Triple Trolley Office Cart efficiently transports large bulky loads, then folds flat for easy storage. Sturdy structural foam deck won't rust, dent, chip or peel. Nonskid platform surface helps prevent load shifting. Three-position ergonomic handle lets you push, pull or use cart as a dolly. 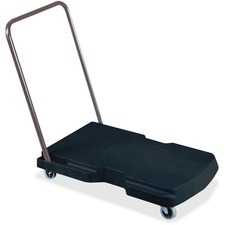 Triple trolley office cart includes four 5" nonmarking casters, two rigid, two swivel.